A frenzied gesticulation suddenly invades Seurat's art in the final two years of his life. 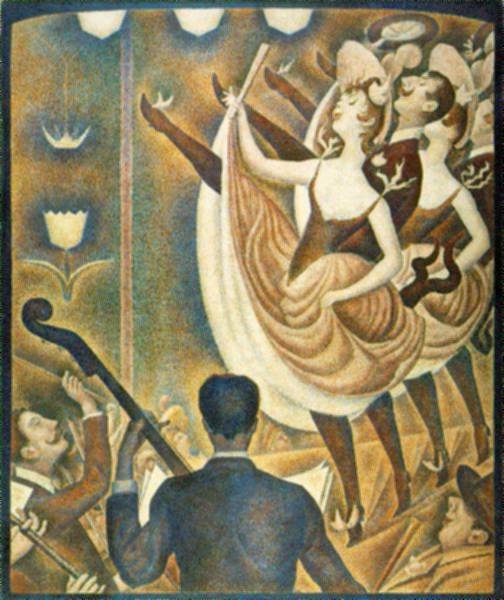 Seurat studied and collected Jules Cheret's posters, and their compositional form is felt in Le Chahut . The curled mustache repeated in the dancer's turned-up lips, the decorations and ribbons on the dancers' shoulders and shoes, the strange similarity of male and female legs, everything here expresses the taste for peculiar detail.